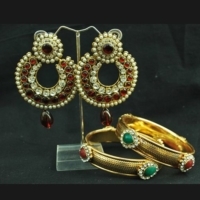 Stone studded Maroon earrings with pair of Pearl Bangles by Reeti Fashions. 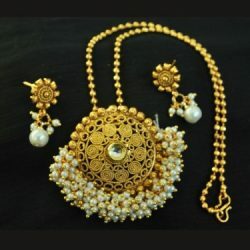 The set is made of fine quality alloy. Kada is available in 2×4, 2×6, 2×8 sizes.